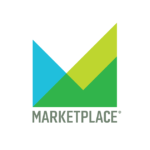 Elliot visits with Nancy Marshall Genzer about housing and wealth on Marketplace’s 7/25/18 podcast. Segment with Elliot starts at about 9:10. You can download the podcast if you want to skip to that point.